Foxborough (Mass.) 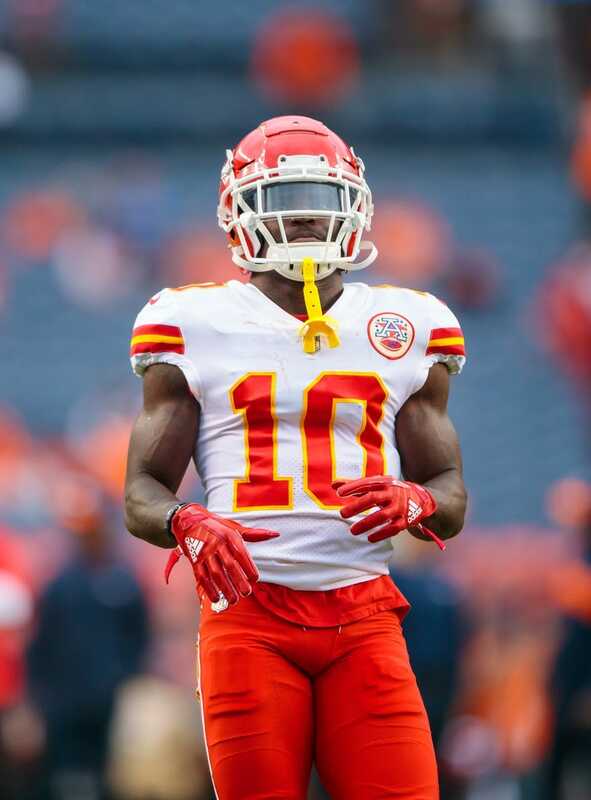 Police have charged a Gillette Stadium fan who threw beer onto Kansas City Chiefs wideout Tyreek Hill on Sunday with disorderly conduct and throwing an object at a sporting event. The incident happened with little more than three minutes remaining in the game Sunday night, after Hill scored on a 75-yard catch-and-run to tie the game at 40-40, his third touchdown of the game. As Hill sprinted down the sideline and into the end zone, his momentum carried him through the end zone and up against the railing of the end-zone seats. He was immediately met with numerous middle fingers in his face before a fan threw beer into Hill's face. "My coach (Andy Reid) told me, 'Don't get emotional. Don't get mad about it, because it comes with the territory,'" Hill told the media after the game. "I'm not mad at all." Before the charges were announced Monday, ESPN's Adam Schefter reported that Hill and his agent, Drew Rosenhaus, want to take legal action against the fan and are discussing options with the NFL and the players' union. "That type of behavior is unacceptable," Rosenhaus told Schefter. "Players have to be protected. We want that fan to be prosecuted."